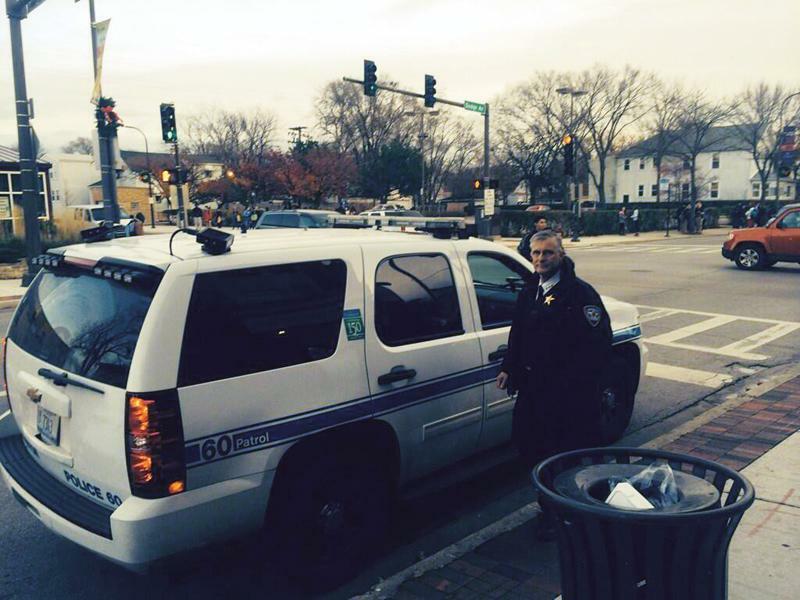 The Evanston Police Department live-tweeted Chief Richard Eddington’s patrol Friday afternoon and evening. The “virtual ride along,” as EPD called it, began at about 12:30 p.m. and was updated a few times per hour through 8:40 p.m. The tweets followed Eddington through several events, from a foot patrol during dismissal time at Evanston Township High School to a response to a battery incident on Emerson Street. The majority of the posts took place during Eddington’s patrol of the Evanston Holiday Bash, including pictures of the chief with Mayor Elizabeth Tisdahl, Evanston aldermen and other public figures. He also posted pictures of the event itself, as well as information on street closings during the event. There were few incidents Eddington had to respond to during his patrol. Beside the battery incident, he posted a picture while assisting at a traffic stop and tweeted about a check-in due to unknown 911 hang ups, which turned out all clear. At 6:13 p.m., Eddington tweeted, “Responding to assist a Chicago PD unit on a foot chase on the south end of the city.” However, this taste of action ended only 10 minutes later. “Clear the call. Bad guy got away,” EPD tweeted at 6:23 p.m.
A few of Eddington’s tweets were retweeted or marked as favorites by city officials, including city manager Wally Bobkiewicz and Ald. Jane Grover (7th). The virtual ride along finished at about 8:40 p.m.